Even if you've birded in northern Ecuador, you are likely to see hundreds of new species on our southern tour, many of them endemic to the Jocotoco region. 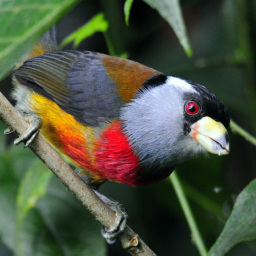 Enjoy staying at the Jocotoco lodges that put you right in the heart of the best birding sites. We expect this tour to fill quickly, so don't delay in sending in your registration and deposit! Day 13, August 5 - Early birding at Cajas National Park, Flight back to Quito after lunch. Participants with international departures scheduled for late tonight will be helped to the international departure area. Those who have departures scheduled for tomorrow will be transferred to a nearby lodge for your last night in Ecuador. TERMS AND CONDITIONS: Deposit of $750 with registration (link for registration form is at the bottom of this page). Balance is due on or before March 22, 2015.
phenomena, as well as suggestions by local guides in order to take advantage of an unusual birding opportunity. Lodging is subject to change based on availability.